Serene Lindsay Ranch home with sweet curb appeal. Beautifully maintained green, grass yards and extended covered patio for entertaining. No rear neighbor and mature trees provide privacy. One of the largest lots in the community allows room for the pool of your dreams. French door entry from patio. Privacy continues inside with a first floor powder room and second level bedrooms . Large master bedroom has ensuite with walk-in closet. Cathedral-ceilinged family room opens to dining area & breakfast bar. Kitchen has plenty of counter space & cabinets. Enjoy great light in the living spaces. First floor tile is neutral and diagonally set. 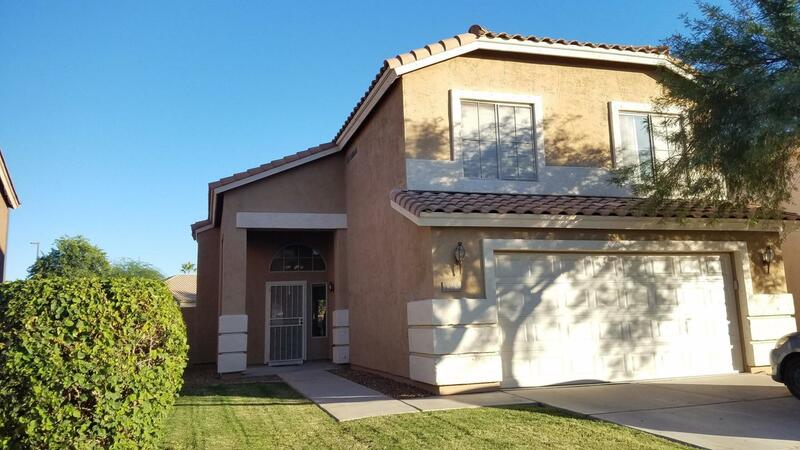 Community has an updated park for kids and easy access to San Tan Mall shops & restaurants.Stainless steel appliances convey with home warranty coverage.